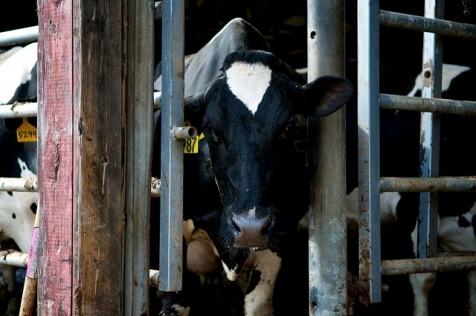 This project uses manure separating and compost technology to reduce greenhouse gas emissions and improve the financial outlook for one of Connecticut’s few remaining dairy farms. Location: East Canaan, Connecticut, U.S.A. In today’s economy, small, family-owned farms need additional help and support to operate successfully. Costs—including energy and bedding for animals—are increasing. Environmental concerns like manure runoff, odor, and pathogens can be problems, and agriculture accounts for an estimate 6% of U.S. greenhouse gases. 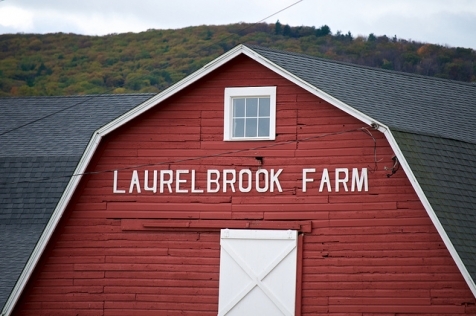 Laurelbrook Farm, located in East Canaan, Connecticut, is a third-generation dairy farm that was founded in 1948 by the Jacquier family. They have approximately 800 milking cows, 240 heifers, and 50 dry cows. The farm spans 275 acres, which is not enough land to field spread the manure generated by the herd. For this reason, the farm began some limited composting of manure three years ago as an alternative to trucking manure to other farms. The compost was made by separating manure solids with a simple separator. Wood chips were added to the material to achieve the correct balance of ingredients for effective composting. As the mix heated up and decomposed, it was turned several times. Unfortunately, this separator had broken down and could not have been repaired economically. Learning of the opportunity to sell the greenhouse gas reductions that would result from restored operations, the Jacquiers decided to restore the composting operation with a more efficient, multi-stage solids-separating system. 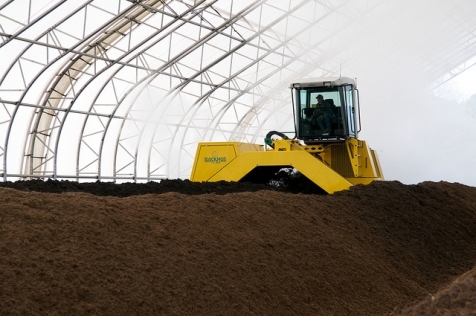 This advanced process allows the farm to both compost a higher percentage of the manure and produce better compost. “We’re not the only dairymen who are composting, but it is this sort of innovation that farmers need to consider. We’re proud to have figured out how to get the composting up and running again, and we’re pleased to be working with NativeEnergy,” Jacquier added. With the promise of upfront revenues from NativeEnergy’s Help Build™ carbon offset sales, the new separating equipment was installed and the system began operating in early summer 2010. This project will reduce 2,000 tons of greenhouse gas emissions per year. The separator equipment removes a large portion of the volatile manure solids before the manure goes into storage, reducing the methane emissions that would otherwise be emitted. When volatile solids in the waste stream break down anaerobically (without oxygen) in the manure slurry storage tank, they produce methane, a greenhouse gas 21 times more powerful than carbon dioxide. The separation of the solids and aerobic decomposition largely eliminates methane gas formation, resulting in an important reduction in the greenhouse gases produced by the animal waste. In addition, this project produces all of the bedding needed for the dairy cows, greatly reducing bedding and manure trucking costs. This supports the farm’s continuing operation and helps maintain the traditional community. In addition, local gardeners can purchase the natural fertilizer produced by the farm and need not rely on chemical ones. This project is a collaborative effort among NativeEnergy, the Jacquier family at Laurelbrook Farm, Integrity Ag Systems, and everyone who purchased NativeEnergy’s Help Build™ carbon offsets from the Laurelbrook Farm Compost Project. This project is validated to the Verified Carbon Standard. The carbon offsets generated by the project are being third-party verified periodically over the project life. The project is registered with the Markit Environmental Registry.